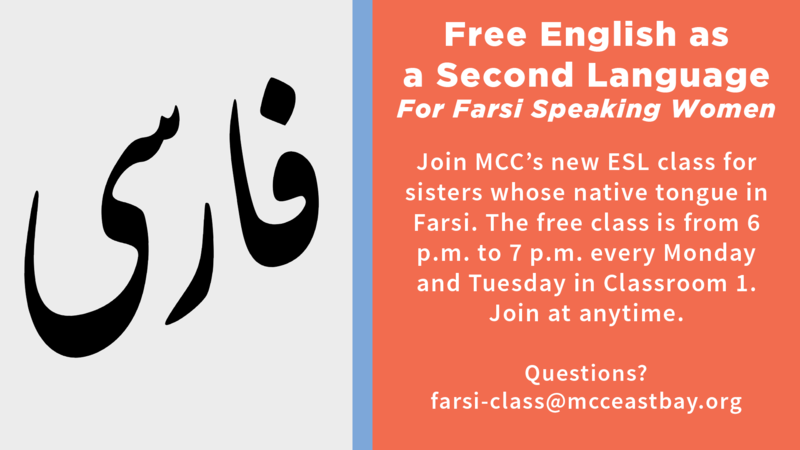 To better serve everyone in our congregation, MCC is launching a new English as a Second Language (ESL) class for our sisters whose native tongue in Farsi. The class is from 6 p.m. to 7 p.m. every Monday and Tuesday at MCC. You can join this free class at anytime. To join or for questions, please email farsi-class@mcceastbay.org or call class facilitator Sr. Anahita Jackman at 925-339-4454.